"The victors write the history books. The runner-ups write the blogs." I'm not sure I understand it, but it's thought provoking. Via The Daas and the Diybur. edit: come to think of it, I might say "traditionally the victors write the history books..."
Clearly that is no longer a certain given. Dilbert on men wearing yarmulkes, or rather, covering their head. Very interesting post. Read it. There is a post on an email list about Jewish history and Orthodoxy. All those bringing down proofs of why learning history is important are missing the point. It is certainly interesting and perhaps even important to know the reasons given for not learning history. However, the important thing to know is whether there is a genuine view that history should not be learned. If there is a genuine shittah that people should not study history, then whatever proofs you will bring were considered. You will not be able to Shlug up the shittah. At most you will be able to decide whether to feel bound by the shittah yourself. What struck me is the assumption that if there is a "genuine view," which is the commenters translation of "shittah," it means that every angle of the issue was explored in order to formulate that view. Including, I suppose, some sort of study of history. But is that so? Have those who advocated not "learning" history (telling word) done an exhaustive exploration of the matter? Iranian blogger Hossein Derakshan is, hopefully, visiting Israel tomorrow. If things work smoothly at the Berlin's Schoenefeld Airport, I'll be in Tel Aviv tomorrow morning. This is huge for me. This might mean that I won’t be able to go back to Iran for a long time, since Iran doesn't recognize Israel, has no diplomatic relations with it, and apparently considers traveling there illegal. Too bad, but I don't care. Fortunately, I'm a citizen of Canada and I have the right to visit any country I want. As a citizen journalist, I'm going to show my 20,000 daily Iranian readers what Israel really looks like and how people live there. The Islamic Republic has long portrayed Israel as an evil state, with a consensual political agenda of killing every single man and woman who prays to Allah, including Iranians. I'm going to challenge that image. One of the cooler things I've heard lately. I don't know enough about the situation to know how gutsy this is, but it sure is encouraging. Agudath Israel opposes legislation which would require clergy to report to the authorities when they have reasonable cause to believe that there's been child abuse. Note: the legislation would require them to report to authorities "whenever they have reasonable cause to believe a child has been abused." Which is to say, that when a clergyman doesn't have reasonable cause then he wouldn't be required to report. Which is to say that Agudath Israel opposes requiring clergy to report what they are reasonably sure is child abuse. Is it a church-state issue? I suppose. But it's also a child abuse issue. Agudath Israel is protecting the religion, as they see it, but who is protecting children? Again, the legislation would basically require clergy to report abuse if they really think they've seen abuse. Regarding bans, what makes them most distasteful to me is that the reasoning isn’t open source so the logic can be followed by the average literate observant lay-Jew. Instead, we get books and wigs banned and the news spreads like wildfire by phone—and bonfire in the street—and the responsible Jew wants to hear the specifics… without a game of “telephone” along the way corrupting the original message. It’s like testing to see who will dare to break a chain letter. Years ago I read this book and quite liked this thought. So, as recounted earlier on my sidebar I conducted a little experiment. In a discussion with a certain respected rosh yeshiva I broached this peshat, worded appropriately, and without revealing its source. The RY was modeh al ha-emes. Yes, its a nice peshat. That surprised me. After all, how could Alan Dershowitz's ten year old daughter have anything to contribute to parshanut? And thus I learned a lesson: Accept the truth, whatever its source. Yes, this dictum takes one into uncharted waters. After all how does one recognize what is true? Don't people often accept that which isn't true thinking that it is? Good questions. In any case, this Hirhurim post goes all R. Joseph Hertz-y, citing Wicke, Childs, Fretheim, Cassuto, Sarna and others who likely wouldn't make it onto the shelves of a bet midrash. Unsurprisingly, in the comments section the question of whether one can cite Wickes, Childs and Fretheim was raised. Then the question of whether their peshats are good even if they are the same as in classical sources was raised. And finally, whether one can cite the Abarbanel was raised. Go figure. Potentially interesting discussion about Professor D. Weiss-Halivni's Peshat and Derash at Chardal. Commenter Tzvi's asks "why have so many orthodox people accepted Halivni as a talmid Chacham, when so much of his "hashkafa" is pure kefira in Torah She'baal peh?" A good question, although I wouldn't word it that way. Re-wording it might go something like this: Why have so many Orthodox people accepted [Professor] Halivni as a talmid chacham, when he used to be a professor of Talmud at JTS and a pulpit Conservative rabbi? I think the answer has to do with the fact that he, in fact, is a talmid chacham and many Orthodox people take seriously the dictum to accept the truth from wherever it comes. He is also viewed, I've noticed, as a bridge to halakhic sanity in a world gone fundamentalist. There is an interview with Professor Shalom Carmy which appeared in Hamevaser (Vol. 38 No. 1) called Imitate the Ramban, Not the Professors. SC: What truth-seeking person would close his, or her, eyes to a newly discovered inscription clarifying the geography or vocabulary of a pasuk that baffled the Rishonim? The Ramban's delight when, upon his arrival in Eretz Israel, he was able to revise some of his perushim in the light of the realia, should put to shame the kind of piety that disdains such knowledge. Interesting realia should never overshadow the study of devar Hashem; yet I would rather model myself on the Ramban than on the professors of Ramban. It is entirely possible to be a "skeptic among us" without the unabiding disdain for and frankly anachronistic views of the great teachers and teachings of Judaism. It is as if "the skeptics amongst us" have chosen to regard the most extreme naive fundamentalist views as normative in Judaism in order to vehemently reject them. Said skeptics will not regard various types of midrash aggadah as something besides modern narrative texts and then they make genre mistakes, the same mistakes that fundamentalists make with them. Of course maybe it's no coincidence that the nevuchey ha-Orthodox don't tend to become lay Richard Elliott Friedmans. One of the issues of Arts of Asia magazine had an article, about four or five years ago I think, about the calligraphic masterpieces sent by South East Asian chiefs, rajas and sultans to each other as letters and diplomatic missives - formal letters with top-border scrolls, a main panel in Islamic arch form, the bismullah in glorious calligraphy at the top of the text, followed by salutations and mentions of titles, with, sometimes overshadowed by everything else, the actual message text - "Sultan Babullah respectfully requests that his honoured cousin Raja Dhi Lumpor return the two fishing vessels and the goat which were inadvertently apprehended off Pulau Bukit Island, and sends twenty Spanish reales and a cloak of honour in appreciation of the consideration" - followed by end statement and scribal notations of date, time, place, and any attachments. All, of course, in fancy court Malay - which was probably not the first or even the second language of either sender or recipient (many "Malay" noble families were actually Bugis or Makasarese, and the Achinese often spoke Arabic with greater fluency than they read Malay). Ne'um At the Back of the Hill. Okay, granted, 'cool' is relative. The more famous application of this principle in the Talmud is by the halakhic disputes between the schools of Hillel and Shammai. We generally decide in accordance with Bet Hillel, but nonetheless 'Both are the words of the living God.' In the piece quoted above, from Gittin, the dispute is not halakhic but concerns historical fact. The principle is often used in a more general sense in disputes. Often the side that wishes to be or be perceived as a peace-maker will invoke it to legitimate both opinions. Sometimes the weaker side will invoke it to legitimate what it realizes is the weaker opinion, although this is often in the eye of the beholder. I recently heard a shiur concerning the status of the kotel and its sanctity. The issue mainly concerned the identity of the kotel. Was it a wall surrounding har ha-bayit? Was it a wall of the 'azarah itself? Posekim were mentioned for both positions. Fortunately for us the pesak is that it was a wall surrounding the har ha-bayit. What was interesting was that in the entire discussion there appeared to be no recognition of the wall itself. How long was it? Never mentioned. Does it appear to function as a retaining wall for a platform? No mention. What about the style of the cut stones? Nothing. I don't want to mention any names in this post because it doesn't particularly bring honor to them. One modern teshuva was cited which gave an ingenious proof from a mishna in Masechet Me'ila concerning the type of money used to build the walls of the Temple, sanctified or secular. 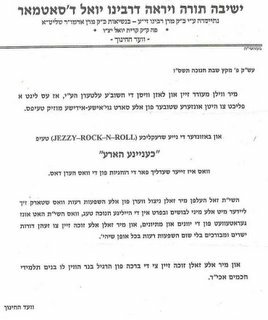 It concluded that the kotel is in fact of a lesser type of sanctity and it is permitted to approach it. But it was evident from the teshuva that the posek thought that the kotel was built by Shlomo! One reason for Al-Aqsa's sanctity [Ahmad Agbariya] explains, is that it was the world's second mosque, built by Adam forty years after the mosque in Mecca....Archaeologist say [what Muslims call Old Al-Aqsa--a pair of long vaults directly under the mosque building] were built in roman times, as passages that led from the Mount's southern gates into the Temple....Agrabiya says the halls are the mosque that Adam built at the begining of time. If so, there's a Roman style to Adam's stonework, like the pair of columns topped with floral capitals at one end of the passageway. What is a modern halakhic discussion doing without apparent recognition of the plain fact that the kotel is Herodian and a retaining wall for a platform built atop the peak of har ha-bayit? I wonder (okay, facetiously) if such discussion and such a shiur is divrei elokim hayyim. Is this Negative-Historical Judaism? In any case, the probable way out is the fact that the Gemara in Gittin quoted at top actually concerns itself with whether or not the two positions contradicted one another. If so, they cannot have both been true. But the Gemara harmonizes them and explains that they both could have been true. Could have been true, but were they? I'm not sure that is the point of the Gemara or the idea of elu ve-elu at all. If so, then I suppose that it doesn't matter if a halakhic discussion about the kotel is aware or unaware of what the kotel actually is, although I have to admit that seeing the type of thing I quoted from Gorenberg's book in modern teshuvos and shiurim throws me for a loop. The conversation turned to other matters, namely an apparently famous Zohar that says "In the 600th year of the 6th millennium (approximately 1830 [sic]) the gates of knowledge above, and the fountains of knowledge below, will be opened, and the world will be prepared to enter the seventh millennium. The "gates of knowledge above" refers to the wisdom of Torah; "the fountains of knowledge below" is secular knowledge. " To this someone added, "This would seem to imply that this secular knowledge was unknown until now." Someone else pointed out that the interpretation of this passage in the Zohar "could mean that until the 7th millenium it would only be known to a select few of the generation i.e. the Gedolei Hador. After that year, the gates would break open and it would be learned by the masses." I suppose. That would also explain why the gedolei ha-dor don't know these things now. I had an interesting conversation with a twentiesh year old yeshiva bachur (don't worry, I'm not corrupting yeshiva bachurim). Basically the conversation centered around the fact that R. Yosef Dov Soloveitchik had a positive attitude towards Israel, as expressed in his essay Kol Dodi Dofek, and his grandfather R. Hayyim very negative attitude towards Zionism. The bachur (let's call him Ari) is a good boy and a serious person and just couldn't understand how the einekel* could depart from the zeide** on such a weighty issue as this. What's more, since the collective gedolim were against the establishment of Israel, so Ari told me, how can R. Soloveitchik, great man he was, go against this? So I introduced Ari to a concept I call "when facts change." When facts change, issues must be evaluated anew. R. Hayyim died in 1918. Israel was established in 1948. Some things occurred between 1918 and 1948. Positions on issues do not stand suspended outside time and outside circumstances. R. Yosef Ber had boundless attachment to his grandfather's ways and teachings. But he believed that a position which was tenable prior to 1918 was not tenable in 1956, when he wrote the essay, if the facts surrounding the position were different. You'd think this wasn't a novel idea, but it took some time for Ari to digest it. After some more discussion he agreed that it makes sense. Or at least he could understand now how R. Yosef Ber could "go against" his grandfather. Anyway, Ari was probably just inexperienced. But this touches on a larger issue regarding how I've observed some people, who are older, view positions of a selected set of gedolei Torah. I came across this very interesting aleph-bet. It is from this the Karaite congregation Orah Saddiqim's children's page. For an abecedarian geek like me it's pretty cool to see an alternate aleph-bet tradition that I'd never seen before. Also interesting is the sound samples on the page. Be sure to check out espeically the unique pronunciation of 'ayin, sin and samakh (there is a difference!). I enjoy reading what Samuel Heilman has to say. He is often interesting. A sociologist of American Jewry at Queens College, Samuel Heilman, said that the hat Abramoff wore would be more typical for so-called yeshivish Jews. "It would be the kind of hat you might see in Lakewood, [N.J.]," the site of a large, Orthodox rabbinical college, Heilman said. is pretty silly. I suppose for the sake of simplicity when talking to the press he might just say its yeshivish and leave it at that, but I wonder if Heilman is really aware of the nuances he is supposed to be aware of. For an expert on Orthodox Jews he doesn't seem to realize that the hat Abramoff was wearing is about 99 parts former YU yeshivish-leaning 50 year old from Queens and 1 part yeshivish Lakewood. You can purchase a CD containing the white noise of a Bes Midrash. Produced by Diaspora Yeshiva Kollel Mount Zion Jerusalem, Rabbi Chaim Faecher project-coordinator. An original and unique CD “Hokol Kol Yaakov.” Recorded in the halls of Torah study of the holy Eretz Yisrael, and presented in a special way. A background, serving as an aid to strengthen your private Torah study, creating a holy atmosphere and providing the experience of the pleasantness and life of Torah at all times and at all hours. From now on, the Torah world is with you in your home, with the endorsements and blessings of leading Torah authorities. Sixteen minute sound clip (only 2 mb). This is a devar Torah? Peretz Rodman writes in the Forward about a textual issue related to this week's parasha. This is a very nice Historical-Critical vort and an editorial. But this is a devar Torah? 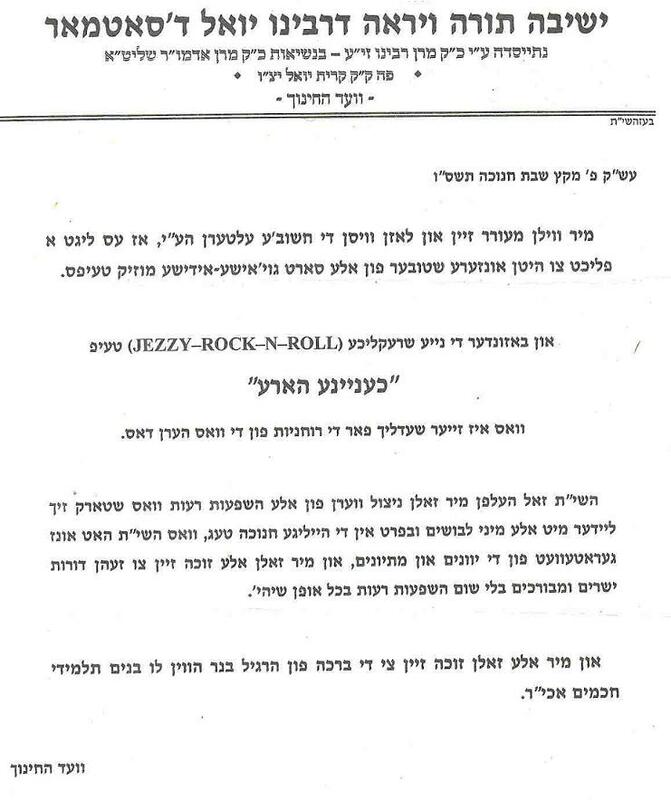 The shrekliche album referred to here is by Lipa Schmeltzer (although he is not mentioned by name). Lipa should probably say that he bought the songs from peasants who instantly forgot the tunes and elevated them. Just ask me what it means. I don't mind at all. It has come to my attention that when I post technical terms in Hebrew or Aramaic or Yiddish many readers don't understand them all. I will try to do a better job and explain more of them in my postings, but a lot of times it just takes away from the smooth feel of the posts and takes a lot of time from what is really a quick medium (blogging). Another consideration is that many of these words or phrases constantly come up and to explain them each time seems to be like treading water a little bit. So I ask and encourage any reader who has some confusion about anything I post to please, please, please don't be shy and email me an ask (I know that perhaps people don't want to show what they do not know in the comments). I promise that I am happy to clarify anything that needs clarification. A most unusual comment at Hirhurim. One rarely hears such vehement criticism of "Pharisees" these days outside, perhaps, homilies still given in some Eastern Churches. However, the novelty is intensified in that you have completed this entire endeavor without the counterfeit aid (siyu'a she-ein bo mamash) of machines that are being innovated constantly (ha-mitchadeshim la-bekarim), like the invention of the "computer" and the like. For anyone who touches one of them is touching the apple of the eye of the Torah! For the Torah cannot being acquired through the pressing of the finger on a button, rather through strenuous labor that literally brings one close to death! This is an interesting topic. The truth is that serious progress in Torah is in fact acquired with great effort. Rabbinic cites in this regard are legion, as well as common sense. No one becomes a scholar of anything via a short cut. But this gets into the issue of what shortcuts are. Are concordances shortcuts? There was, after all, a time when they didn't exist. What about commentaries? For half a millenium Talmudists didn't have a Rashi to learn Talmud with. Or codices (books) rather than scrolls? Or...printing? What about access to a great library of seforim? In David Weiss Halivni's Holocaust memoir he writes of a single crumply page of Shulhan Arukh that he managed to acquire when he was serving time in hard labor. He and fellow inmates pored over it and treasured it like it was made of diamond. That's toil! But ideally one doesn't learn or acquire Torah under such dire circumstances. Someone once pithily commented about some of the articles in, I think it was, the Journal of Halakha and Contemporary Society are basically written by doctors (or lawyers) with a Bar Ilan Responsa Project CD. True, having the ability to do research doesn't make one a great talmid chacham. And it is still a fantastic feat that people have Tanakh or Shas or posekim "at their fingertips" or "in their head." And no one is asking the authors of these articles to pasken for them. But in a way innovations like Rashi or concordances or searchable databases needn't lower the bar. They can raise the bar too. I was once discussing the nature of the difficulty of the Talmud with someone. He said he "think[s] the vast majority of the difficulty is self-imposed, with language barriers, poor formatting, and other artificial (or at least artificially unimproved) barriers. Restructure it into paragraphs, add punctuation and nekudot, colorize it by layer and language, and add some footnotes on the rarer words or concepts." Naturally this could transform the nature of talmud Torah, but then so does Artscroll (and concordances and Rashi and 'en mishpat ner mitzvah and...). *edit: I completely misread Gil's post. This sefer was written without the aid of a computer and the haskama was praising that fact. Zachary Sholem Berger set to embark on an 'Orthodox-bashing' series of the type of R. Avi Shafran's [in? ]famous The Conservative Lie piece in Moment Magazine. Fantastic short video clip from 1918 with R. Yosef Hayyim Sonnenfeld and R. Kook .